Are you thinking about building a new custom home in the near future? The economy has been giving a lot of positive signals lately, and many people are feeling like now might be the time to think about building their dream home. This can be very exciting! It can also be pretty scary! A new home is one of the largest investments a normal person can make and you want to make sure you are prepared and informed to make the most from your investment. Think about Whys of Building Your Custom Home? What are your main motivations for building? How realistic are they? Some of our recent customers have built a new home to be out in the country, or to be in a house that is more energy efficient. Both are great reasons to build, but each has additional costs involved and need to be considered. Thinking about what is driving your desire to build can be a hard, but very useful question. As you begin building a pro/con list and understanding your motivations, you should take a hard look at numbers. What is your budget for a new house? What kind of loan do you qualify for? Do you qualify? Can you afford a new construction loan and your current mortgage? Not fun, but very necessary. Think about the Needs of Building Your Custom Home? What do you, your family, your dogs, or your lifestyle needs in a home? What makes where you are living now less ideal? Some families want to build because they cannot find a house with a kitchen layout that works for their life. Others need a family room, as well as a school room in the basement for homeschooling to help kids stay focused on schoolwork. List out what your new home will need to have. This will be extremely helpful to your builder as he helps you create your new home. Think about Wants of Building Your Custom Home? So you have a budget and have established why you want to build and what you need in a house, now you can start to think about your wants. One good question to ask when wrestling with a number of wants but your budget only allows for a few of them is to ask which can be easily added later? For example, we live in Kansas, basements are a pretty important need, but finishing a basement can be a necessity and save some money on the front end. Here at Heritage we sometimes talk about how the first stage of building a home or taking on a large remodeling project is killing the dream. This sounds harsh, and maybe we have a warped sense of humor, but I think there is a lot of truth in that little summary. Many times the first few meetings with a customer is centered around what is possible within the projected budget. Often this means killing their original dream created by hours of HGTV This is so important because it gets everyone on the same page and helps start a really great working relationship where lists, listening, and logic can take the place of over-budget costs, unrealistic dreams, and unheard needs. We are a full-service custom home company. We will work with you to create the perfect floor plan, with everything that’s important to you, making your home completely unique. We understand the science needed in construction to make homes safe and efficient. We stay on top of trends that are fresh and designs that are timeless to help you create the custom home you’ve always wanted. Check out our “Custom Homes” pages to see the different types of homes Heritage offers. Call today to start creating the home of your dreams! As you begin the process of gathering information and ideas, a great place to begin is checking out our Pinterest page. We have some of our projects, trends, floor plans, flooring ideas, and much more! Custom home building excites us and we would love to start working with you to build your new home. One thing that builders sometimes forget to tell their customers is that building a new home takes time. On average, it will take between 6-7 months, depending on the complexity of your home, the weather (in Kansas, the wind can be especially tricky to deal with in construction, as well as the extreme cold and heat), and the availability of subcontractors. Good contractors know that building a custom home for a customer is a long term relationship and he is prepared to do his best to build your house in as timely as he can while maintaining quality. Not ready to build a custom home? Well maybe remodeling your home can keep you in your home for years to come. 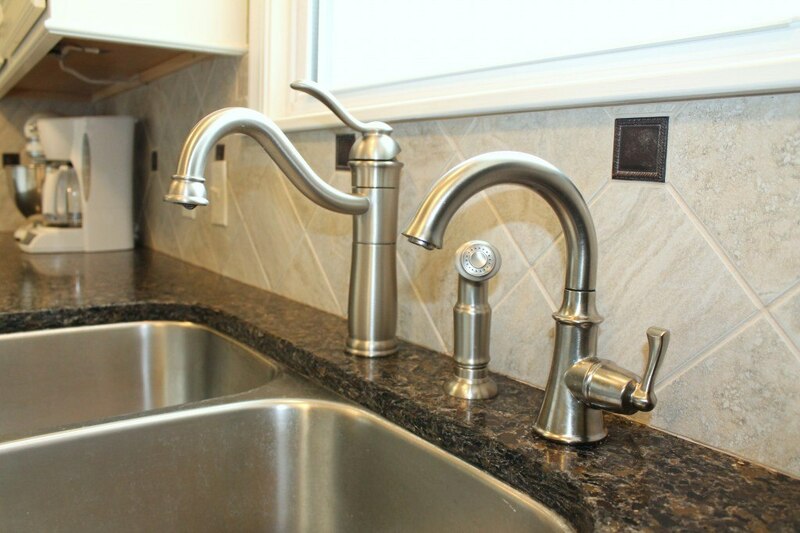 We are experienced in all types of remodeling, including room additions, decks, basement finishes, replacement and egress windows, and full kitchen and bath remodels. We have worked with counties and municipalities all over southeastern Kansas and obtain all licenses and permits for each job. We stay on top of current trends in styles, energy efficiency, and flooring options and can walk you through the many decisions that are part of each remodel. Check out our Project page or see on us Pinterest or Houzz to get ideas and explore the latest in home remodeling. Having a remodeling team in your home can feel invasive, but our carpenters are clean cut, respectful, and knowledgeable about their craft. They are always willing to talk with you regarding your questions and concerns. For more information on remodeling costs in the Wichita area, check out the Cost vs. Value Report. It gives detailed and up to date information on popular projects. Call us today to set up an appointment to update, enhance, or add-on to your house. Call today!